This was something I did on my former website Mysteriozone.com to display all possible angles of the WWF (FWF) Winged Eagle. I have been asked to bring it back. The creation of this section years ago convinced someone on making the changed to real belts. 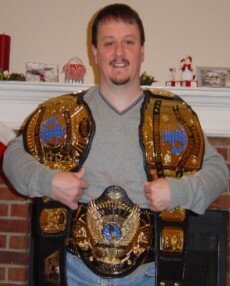 This person is a major player in the real belt community and I am proud to call him my tag team partner and half co-owner of this site.